Irises, part 4, because I never do things in sequences of 3. 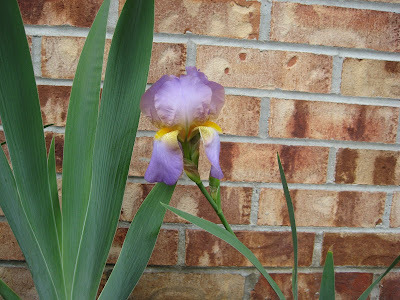 These are more like the traditional irises I remember having while growing up. They are lovely of course, but I also like some of the more fancy varieties that managed to bloom this year too. You certainly have a lot of different kinds of Irises. Don't you wish the blooms lasted longer. They are so pretty at this time of the year. Hope you are feeling somewhat better. Fig will arrive before you know it!!!!!!!! !